Just wanted to share my new drink which is so awesome and delicious! 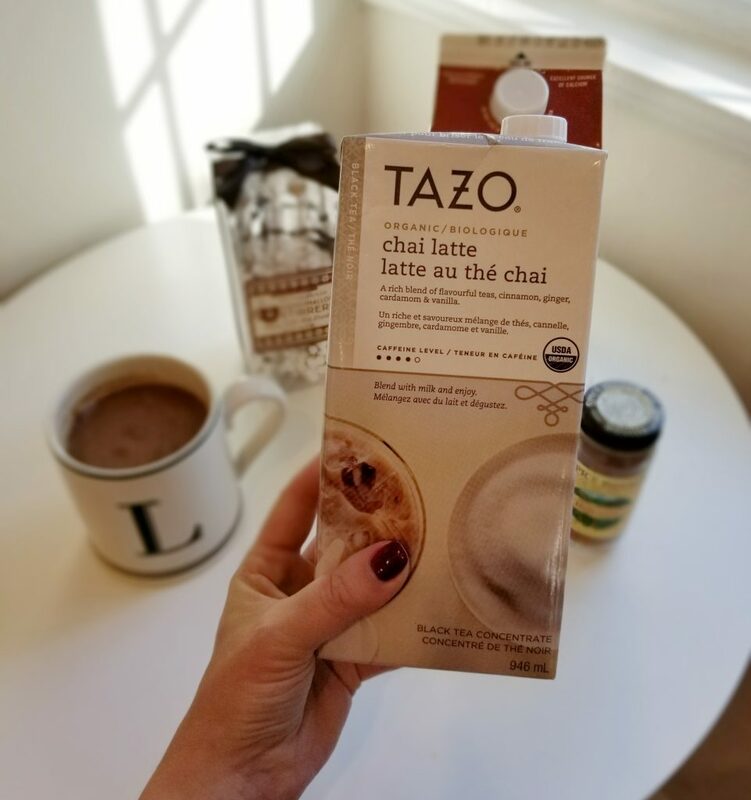 I dont think I’m inventing anything new here but I came across Tazo’s Chai Latte mix in Home Goods and bought up all they had as it is so great. 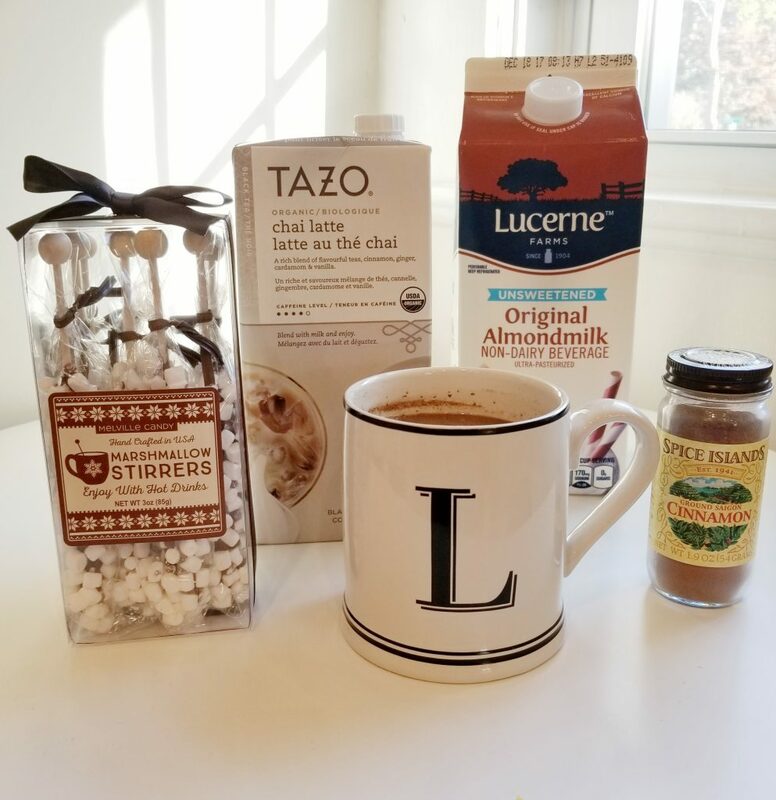 The Tazo Chai Latte Mix is a 4 out of 5 stars on caffeine content so I find it to be a good alternative to the usual latte i make. Mix equal amounts chai latte mix with equal parts milk or whatever milk you prefer, I use almond milk. Microwave for a minute or so..
Add a teaspoon of cinnamon spice or to taste. I find this gives it a bit more of a kick but you could also add nutmeg depending on your preference. 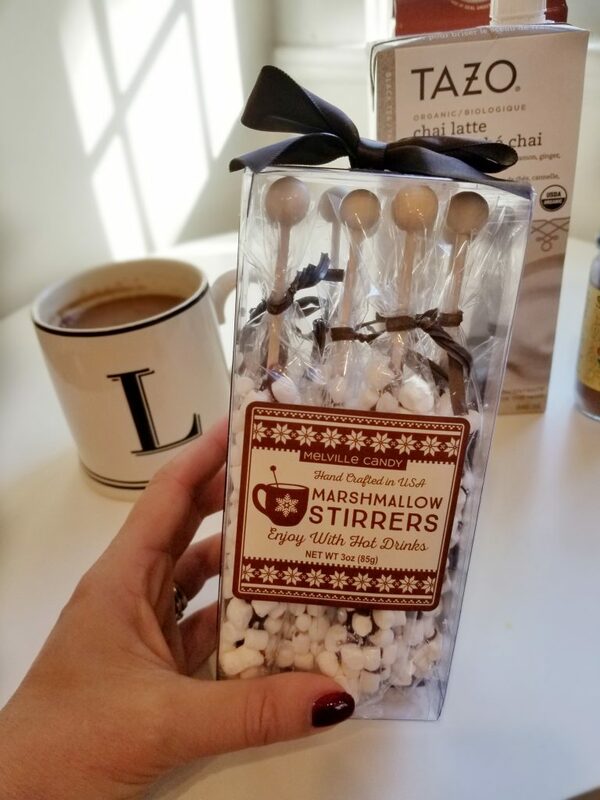 This feels like a very seasonal drink to me so sometimes I go one step further and add a marshmallow stirrer like that pictured (found in Home Goods but also available in many grocery and home stores) or I add my favourite coffee creamer which is the Baileys flavour (without alcohol) or go the whole hog and add some actual Baileys for an alcoholic coffee! I love chai tea especially during the Holidays! 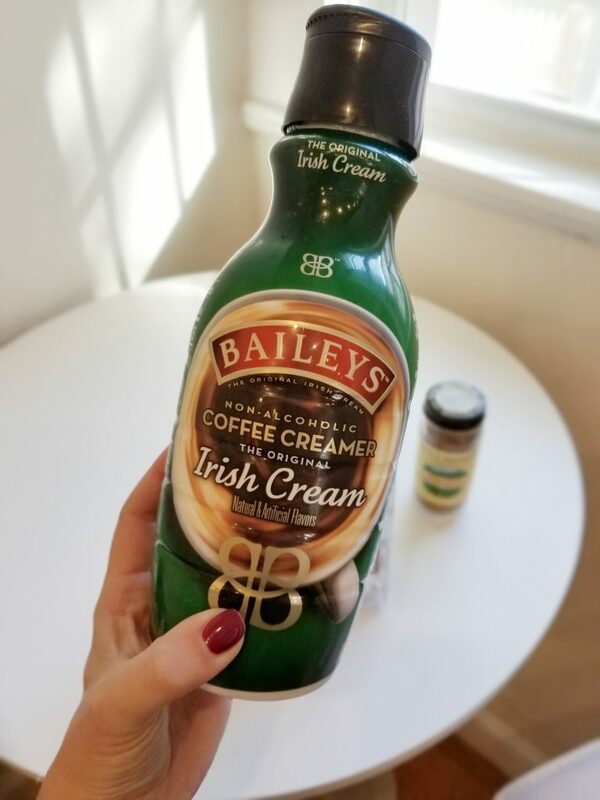 A great alternative for coffee and a fun drink to have around during Holiday events!